Making Halloween crafts can be a lot of fun, and you can create some really spooky, funny effects. Buying decorations can end up costing a lot of money, though, and you often end up throwing them away after the party. Why not make your own, and have fun in the process? Here are some ideas. Find a branch with an interesting, gnarled shape. 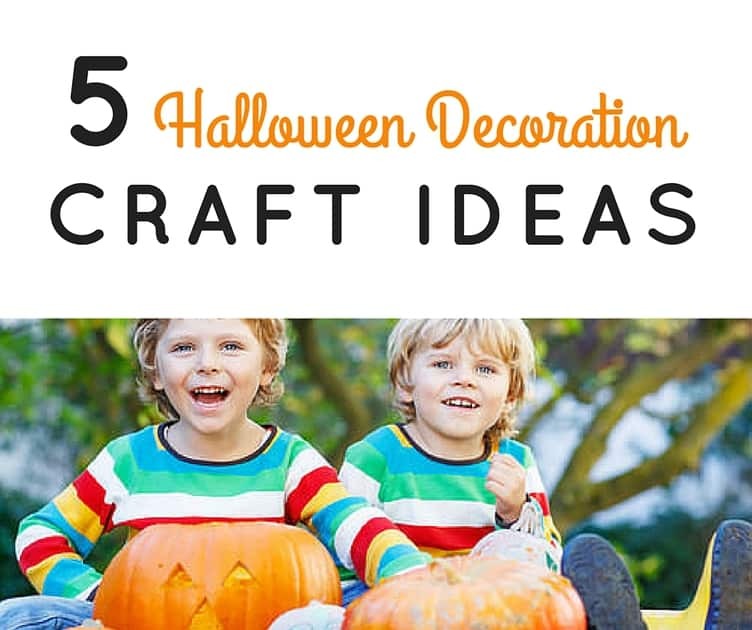 Spray paint it black, then place it in a vase and hang spooky ornaments from it, such as tissue-paper ghosts, small craft pumpkins, mini skeletons, and so forth. White glue dries to a nice, ghostly color. Lay a piece of wax paper on a tray. Then squeeze out some glue in a ghost-like shape, and fill it in with glue. When it’s dry, peel it off the wax paper. Add eyes with a permanent black marker. Or, you could stick googly eyes or two small black beads into the glue while it’s wet. Stick a safety pin through the top of the ghost, and use as decorations or wear them on clothing. Using the black marker, draw spider web-like lines on the outside of the glass holders. Then, hot glue the spiders to the holders in various places on the web. The strings that hot glue guns tend to produce will only enhance the effect. Spray paint the outside of the can green. When it’s dry, glue on eyes and the cork nose. Draw or paint a mouth in black (make “stitches” by painting little vertical lines along the horizontal mouth line). Glue yarn around the open top to make hair. Finally, use the drill to screw in the two screws on either side of the face at the very bottom – but screw them only about 1/3 of the way in. First, paint/stain 8 of the craft sticks with the watercolors. Black, purple, and blue make good choices. Stain 2 more craft sticks in a contrasting color. Allow to dry; then glue the 8 craft sticks together into a flat square (glue the long edges together). Glue the 2 contrasting color sticks to the top in an upside-down “V” shape to make the roof. Then, using construction paper, scissors, and hot glue, cut out and glue on windows, ghosts, a door, etc.